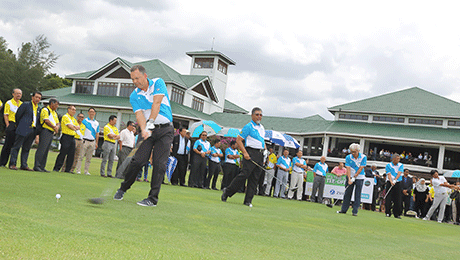 The GoGolf programme was officially launched in October 2016 at The Mines Resort Golf Club along with its Strategic Alliance Partners - Bank Simpanan Nasional, Zurich Insurance Malaysia Berhad and Finexus Group. Today we have over 50+ MGA Affiliated Clubs signed up to the GoGolf programme, an initiative designed to create new opportunities for clubs and golfers. 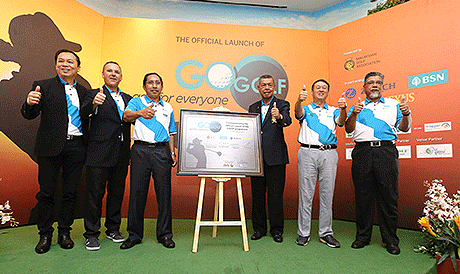 Be part of the GoGolf programme and together, we can take golf in Malaysia to the next level! 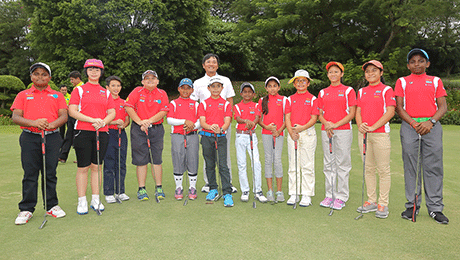 To lower the barrier of entry to attract more new and younger golfers to the game. To enable golfers access to more courses, thereby generating more opportunities (i.e. paying rounds) for Clubs. To establish an enriching and enjoyable platform where golfers and clubs can be rewarded and benefit from. To assist Clubs to optimize current revenues while creating new channel business opportunities. 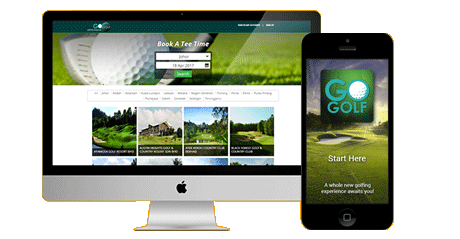 Now GoGolf participating clubs offers golfers the convenience of Online and Mobile golf booking tee-off times. The system is available to GoGolf clubs at ZERO investment cost. Now your Club is able to reach a larger audience pool and golfers can book their golf rounds from anywhere, at anytime. Leverage GoGolf's marketing & promotional activities for greater awareness and wider reach to larger pool of golfers. As part of the GoGolf community, Clubs gain more exposure and new opportunities through our on-going activities with strategic partners. From advertising, GoGolf Online Channels to PR publicity programmes & events. GET MORE REVENUE FROM OTHER CHANNELS! With GoGolf's unique model, you have the option to gain additional revenues from sponsorships and media asset channels. We help unify the Clubs to negotiate with advertising promotional partners from a network perspective, across all participating clubs nationwide. Therefore, giving advertisers and brands to reach their captive audience more effectively. ALL-NEW GOLF MARKETPLACE COMING YOUR WAY! GoGolf participating clubs are able to promote your packages, promotions and offers at the GoGolf Marketplace. This new e-Commerce platform will enable Clubs, golfers and members to buy-sell, promote services and of course make their bookings online. It will be your single destination for all things golf. Address: No 14, Jalan 4/76C, Desa Pandan,55100 Kuala Lumpur, Malaysia. For more information on the GoGolf programme for Clubs, kindly contact us at sales@gogolf.my.